NEW ORLEANS – Today, The Idea Village announced the 15 new ventures that have been invited to participate in IDEAVILLAGEx, the suite of programs that provide direct service to entrepreneurs. This year, the IDEAVILLAGEx accelerator programs include DIGITALMEDIAx focused on digital content-sharing ventures, ENERGYx focused on ventures in the petroleum industry, and IDEAx designed for all startup ventures regardless of industry. Upon completion of the program in December, these entrepreneurs will be eligible to be nominated for CAPITALx, an accelerator starting in January focused on securing private capital during the 9th annual New Orleans Entrepreneur Week, presented by IBERIABANK and produced by The Idea Village, which will take place on March 19-24, 2017. For the highly competitive accelerator programs, The Idea Village solicits applications from startup companies and chooses a group of applicants to participate in a selection day. There, teams of advisors hear pitches, review business plans and financial models, and conduct interviews with the companies. The advisors then work together to select a diverse portfolio of companies that are committed to growing and scaling their ventures. The new cohort includes companies with innovative ideas in industries such as data, hospitality, manufacturing, oil and gas, sports and recreation, technology, and tourism. More information about each of the companies in the 2017 accelerator programs is included below. The IDEAVILLAGEx accelerator programs are led by a team of three Entrepreneurs-in-Residence (EIR): Mike Krass with DIGITALMEDIAx, Hank Torbert with ENERGYx, and Doug Walner with IDEAx. With more than 50 years of combined experience in startup ventures, management, and investment, these EIRs provide individualized coaching, intensive business consulting, and experience-based guidance. The IDEAVILLAGEx programs equip entrepreneurs with the resources necessary to accelerate the growth of their ventures and develop the skills required to be entrepreneurial leaders. In addition, founders will have direct access to an influential network of mentors and experts, a variety of peer learning opportunities, and exposure to investors in the local business community. IDEAVILLAGEx is a suite of programs that support the startup, growth, and scale of New Orleans entrepreneurs. IDEAVILLAGEx alumni include: 4D Supplements, Acrew, Advanced Polymer Monitoring Technologies, Audiosocket, Better Day Health, Be Well Nutrition, Big Easy Blends, Bioceptive, Bluebag, Cajun Fire Brewing Company, ChapterSpot, CultureConnect, Dukky, education everytime, eTax Credit Exchange, Huka Entertainment, IMOTO Photo, iSeatz, Jack & Jake’s, Kickboard, KREWE du optic, LifeCity, Lucid, Maritant, MobileQubes, mSchool, Munivestor, Naked Pizza, NOLA Brewing Company, NOLAcajun.com, NOLA Couture, NOvate Medical Technologies, NuMe Health, The Occasional Wife, Retail Goose, Servato, Spectrum Interactive, StaffInsight, Welcome to College, Your Nutrition Delivered, and zlien. Dreamster Media Group is an online media network and production company currently focused on producing content for the rapidly expanding podcast market. iDWELL.co is a platform to help connect people who are looking for a furnished or unfurnished rental property to property owners and the businesses that surround them. THE HOST is a property and traveler assist platform, connecting individuals remotely with real-time service professionals. scenehound is a mobile application that tells users how busy bars and restaurants are in real-time to help them plan the perfect night out. WannaDoStuff is a mobile app that connects users who are interested in attending events or doing activities but do not want to do them alone, providing a platform where users can find and create events and connect with others to go with them. 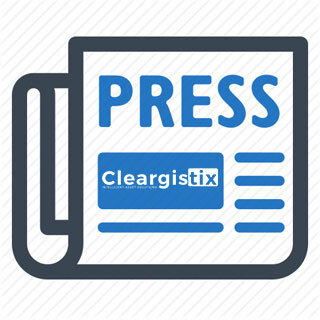 Cleargistix intelligently connects the field to the office, providing a more efficient digital means for companies still utilizing paper and other outdated technologies to capture revenue, activity, safety, compliance, payroll and other information in the field. Haring Laboratories designs and manufactures cutting-edge hydrogen engine efficiency products to make carbon-burning engines highly efficient in the utilization of their fuel, creating better fuel economy, lower emissions, and cleaner-running engines. L&M is an environmental consulting company providing specialized services in regulatory compliance and response management for the oil & gas industry. L&M is developing the LDAR program to address the new 2016 EPA NSPS Methane Regulations in an innovative way. The Offshore Exchange provides a logistics management platform (SaaS) & online marketplace (B2B) to implement shared logistics models and optimize offshore services. craftDIY sells high-end, prefabricated, do-it-yourself craft kits for consumers to create the perfect craft at home with zero hassle. Doorman Designs crafts unique furniture that evokes a sense of place and tells a story, while giving centuries-old materials a new life. Doorman Designs produces pieces both for residential and commercial projects and can be customized specifically for a client’s space. FollowMyCal has the goal of making the best social and shareable calendar by providing a product that is simple, seamless, and customizable. Junction Place Sports is a mobile youth sports company. Our model is based on partnerships with existing schools/youth organizations to provide service for sports/PE needs not met. NavaTarang’s technologies enable ultra-slim, ultra-light, and aesthetically pleasing audio solutions at significantly better price points and levels of quality. White Rabbits, using its custom-built database, Magic Bank, specializes in creating custom gifts, events and experiences for clients seeking something extraordinary. 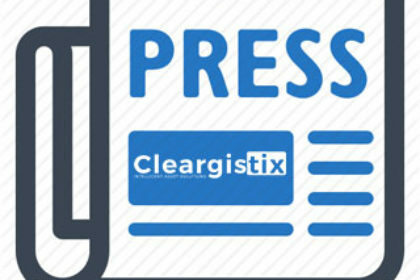 Our research is what sets us apart, focusing on pinpointing the most unique gifts, best venues and service providers, and most specialized experiences globally.